One of the most important things to remember in practice is, "Do it right!" That sounds logical, but think about how you practice. Play a section and determine whether or not it is truly well played. If not, figure out what the exact problem is, slow down, and play it again with the problem corrected. Not right yet? Slow down and try again. Slow down more and more until you can play the section right, then start to speed up. If you can make even a little bit of progress on one section of a piece you have had success in your practice! Try to play one more section of the piece right every day. 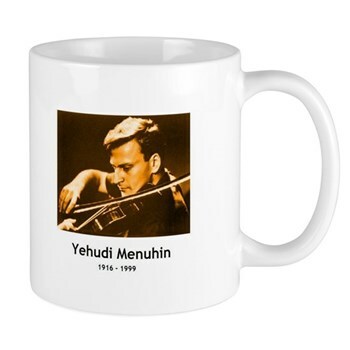 A ceramic mug with a quote from Violinist Yehudi Menuhin. "The violinist is that peculiarly human phenomenon distilled to a rare potency-half tiger, half poet". Some Fun Pieces to Welcome Back the Warm Weather! Some would be nice to play for your Mom on Mother's Day!